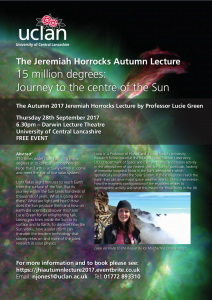 LucieLucie is a Professor of Physics and a Royal Society University Research Fellow based at the Mullard Space Science Laboratory, UCL’s Department of Space and Climate Physics and studies activity in the atmosphere of our nearest star, the Sun. In particular, looking at immense magnetic fields in the Sun’s atmosphere which sporadically erupt into the Solar System. If these eruptions reach the Earth they can drive major space weather events. She is interested in how the magnetic configuration of the eruptions relates to geomagnetic activity and what this means for those living in the UK. 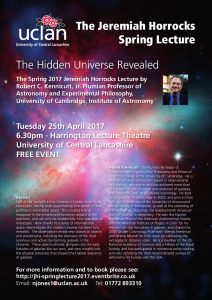 Robert C. Kennicutt, Jr. Plumian Professor of Astronomy and Experimental Philosophy, University of Cambridge, Institute of Astronomy. Robert Kennicutt is the Plumian Professor of Astronomy and Experimental Philosophy and Fellow of Churchill College at the University of Cambridge. 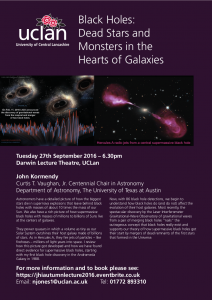 He is an internationally recognised expert in observational extragalactic astronomy, and has authored more than 400 papers on the structure and evolution of galaxies, star formation, and observational cosmology. He took up his position in Cambridge in 2005, and prior to that held faculty positions at the University of Arizona and the University of Minnesota, as well as the editorship of The Astrophysical Journal, the leading North American research journal in astronomy. He won the Dannie Heineman Prize of the American Astronomical Society and the American Institute of Physics in 2007 for his research on star formation in galaxies, and shared the 2009 Gruber Cosmology Prize (with Wendy Freedman and Jeremy Mould) for their work on calibrating the extragalactic distance scale. He is a member of the US National Academy of Sciences and a Fellow of the Royal Society, and has participated in numerous policy-making activities including the most recent decadal surveys of astronomy for Europe and the USA. Prof John Girkin – Durham University – Director of the Biophysical Sciences Institute. How can the combination of advanced astronomical telescopes and the humble Zebrafish help us understand and cure heart disease? By working together across traditional boundaries researchers are now solving highly complex challenges in the life sciences. This work is leading to significant advances in understanding a wide range of diseases with the target of improved healthcare and quality of life. The roots of such collaborations can be seen in the invention of the optical microscope around 400 years ago, which led to a totally new way of observing life, resulting in the discovery of the cell and bacteria. These radical breakthroughs led to the desire to image life with ever greater detail leading to significant advances in optical physics and chemistry (the 2014 Nobel Prize for example) and thus driving research forward across many fields. 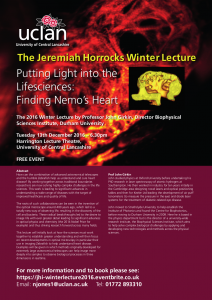 This lecture will initially look at how the sciences must work together to establish greater understanding and will then focus on recent developments in optical microscopy in particular their use in imaging Zebrafish to help understand heart disease. 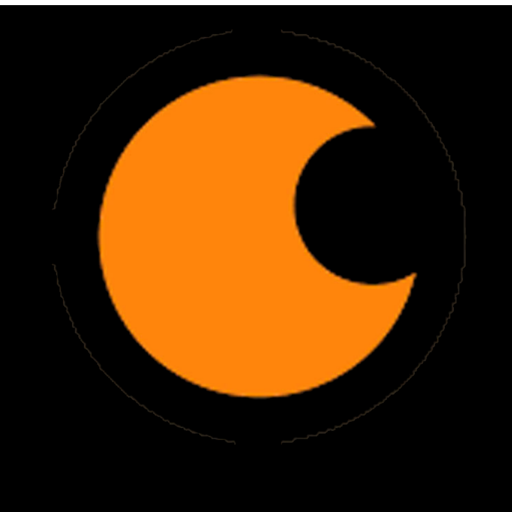 Examples will be given in which methods originally developed for extremely large astronomical telescopes can help image more deeply into samples to observe biological processes in three dimensions in realtime. John studied physics at Oxford University before undertaking his PhD research in laser spectroscopy of atomic hydrogen at Southampton. He then worked in industry for ten years initially in the Cambridge area designing novel lasers and optical positioning tables and then for Keeler Ltd leading the development of air puff tonometers (to measure the pressure in the eye) and diode laser systems for the treatment of diabetic-related eye disease. John moved to Strathclyde University to help establish the Institute of Photonics and found the Centre for Biophotonics, before moving to Durham University in 2009. Here he is based in the physics department but is the director of a university-wide research institute, the Biophysical Sciences Institute, which aims to help solve complex biological challenges by applying and developing new technologies and methods across the physical sciences. They power quasars in which a volume as tiny as our Solar System outshines their host galaxy made of billions of stars. As in Hercules A, they fire jets of particles – like firehoses – millions of light years into space. I review how this picture got developed and how we have found direct evidence for supermassive black holes, starting with my first black hole discovery in the Andromeda Galaxy in 1988.